KINGMAX promotes a series of superior COB USB 3.0 and 2.0 flash drives. Not only is the size of the flash drive smaller, it is also water and dust proof. In a diverse market place, KINGMAX strives to provide high-quality, multifunctional flash drives to satisfy the demands of all customers. KINGMAX has combined faster components with dynamic capabilities to create the powerful, ultra-small UI-06 COB USB 3.0 flash drive. The flash drive is manufactured using a special COB packaging process makes the product more compact and air-tight, so consumers can rest assured that data is safe from water damage or dust interference thanks to the KINGMAX Product in Package (PIP) technology. In addition, UI-06 integrates the high transmission speeds of USB 3.0, which equips the device with a peak read speed up to 85 MB/s and a maximum write speed up to 22 MB/s for enhanced data transfer. The UI-06 is available in 8, 16, and 32GB. The sleek body of the flash drive shines with a metallic gleam in blue or gray finish that expresses both a high-fashion and high-tech style. The COB USB 2.0 flash drive series makes the most of the both the COB and PIPTM technology as well. In particular, the PI-03 used micro-COB technology allows the chip size and length to be shorter than the traditional COB. This allows the body of PI-03 to be super-mini and light, weighing in at a slender 2.5 grams. At just about the size of a keyboard key (21(L) x 14.5(W) x 7(H) mm)—users will hardly notice that it is plugged in to the computer. With its sleek, lightweight design, the PI-03 series is the perfect complement to the Ultrabook or any other thin electronic device. KINGMAX also provides other specially designed COB USB2.0 flash drives: the world’s most stunning UI-05 flash drive, the classic super stick mini series, the personalized PD-71, and the dynamic PD-01. No matter if you are a business worker or a student just starting school, KINGMAX is sure to have a style of flash drive that suits your needs. KINGMAX flash drives meet RoHS regulations (restriction of hazardous substances for electronic and electrical and electronic equipment). All KINGMAX flash drives undergo the strictest quality control, and are subject to stringent testing to ensure durability and performance before shipping. What’s more, KINGMAX products are backed by warranties and global customer service to guarantee the highest level of customer service satisfaction. 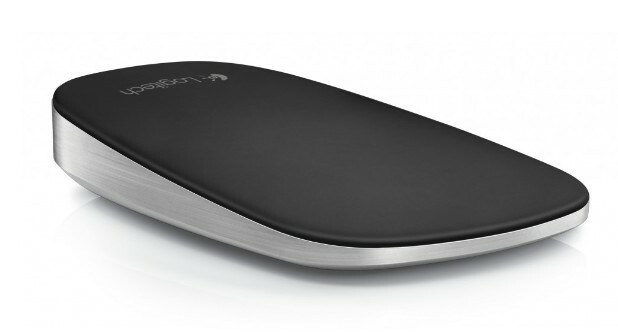 Logitech introduced its first ultra-portable touch mouse. The slim design of the Logitech® Ultrathin Touch Mouse perfectly complements today’s computers, with sleek lines and a brushed aluminum body. Using Bluetooth® with Logitech Easy-Switch™ Technology, the Logitech Ultrathin Touch Mouse can connect wirelessly to your laptop, desktop and tablet at the same time, and you can easily switch among them with the flip of a switch. The mouse is rechargeable through USB and just one minute of charge time gives you enough power to keep working for another hour (based on typical user experience). 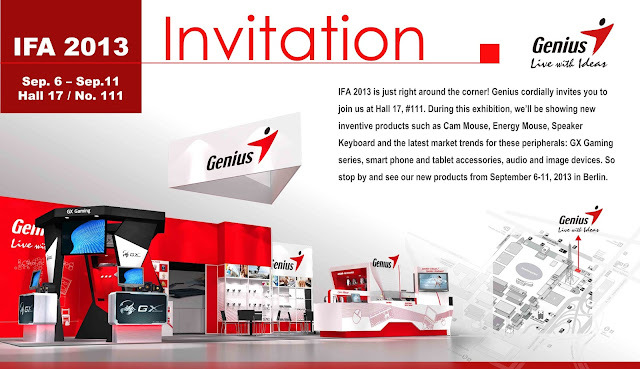 Genius today announces that it will be attending IFA 2013 from September 6th to 11th, 2013 in Berlin, Germany. Genius is extending an invitation to all IFA attendees to visit their booth (#111, Hall 17) and get hands-on experience with its latest product offerings. Genius will be showcasing the two latest additions to the GX Gaming series. First of these additions is the Manticore, the 2013 COMPUTEX d&i Award winning professional gaming keyboard with a mechanical touch and feel. The second is the Zabius, a powerful gaming headset compatible with PC, Mac, PS3 and Xbox 360. 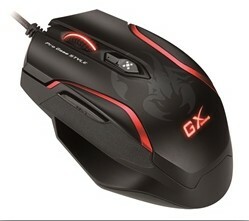 Genius will also be exhibiting the 2013 CES Innovations Award and COMPUTEX d&i Award winning, GX Gaming Gila mouse, as well as the rest of the GX Gaming Series. Genius has had a reputation for combining the functions of multiple peripherals into one sleek form factor in order to provide an optimal use experience. Continuing this trend, Genius will display a new line of hybrid peripherals at its booth. Traveler D6600, a wireless mouse that lets users switch mouse control between two different computers with a press of a button. IFA is the premium opportunity to showcase the latest in the world of consumer electronics in Europe. Genius is proud to participate and introduce their newest, industry leading wide-range of products to the attending news reporters and consumers at #111, Hall 17 in Berlin, Germany. 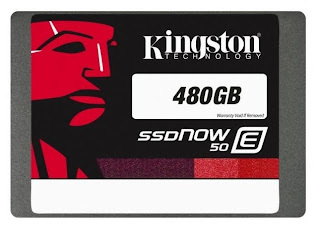 Kingston Digital, Inc., the Flash memory affiliate of Kingston Technology Company, Inc., the independent world leader in memory products, today announced the SSDNow E50, the company's latest enterprise-class solid-state drive (SSD). SSDNow E50 enables performance-focused organizations that do not have heavy endurance needs to obtain the same enterprise-level performance as Kingston's SSDNow E100 but at a more cost-effective price point. A leader in memory solutions since 1987, Kingston will exhibit at VMworld (Booth 1647) to showcase the new drive. SSDNow E50 features advanced data integrity protection via DuraWrite technology that extends the life of the SSD by effectively and efficiently reducing the number of Flash writes via an intelligent compression engine without sacrificing data integrity. RAISE reduces the number of uncorrectable errors in the drive, over and above standard error code correction. SSDNow E50 surpasses competitive market offerings with its robust intelligent power failure protection to prevent data loss in the event of a power outage or interruption. "We found that there was a demand within our customer base and partner community for an SSD that offers enterprise-strength reliability and superior features but with lower endurance capabilities and associated costs," said Ariel Perez, SSD business manager, Kingston. "Based on this feedback, we developed SSDNow E50 and are pleased to further expand Kingston's SSD family to support the evolving needs of our customers and partners." Logitech recently announced the expansion of its keyboard lineup with the Logitech Wireless All-in-One Keyboard TK820, a wireless keyboard with a built-in touchpad that lets you type and swipe comfortably together. "We created the Logitech Wireless All-in-One Keyboard TK820 to combine everything you need to control and navigate your computer in one sleek keyboard," said Charlotte Johs, Logitech global vice president of brand development and portfolio for PC accessories. "This keyboard offers an innovative way to navigate, letting you type, touch and swipe with a single device." The Logitech Wireless All-in-One Keyboard TK820 has an ultra-slim design that takes up less space on your desk because it connects wirelessly to your computer and streamlines navigation with a built-in touchpad. The touch area is significantly larger than a built-in laptop touchpad, so you can point, zoom and swipe smoothly and comfortably. The touchpad also supports up to 13 Windows 8 multi-touch gestures with the download of Logitech SetPoint software. In addition to its attractive design, this keyboard delivers superior typing comfort. The Logitech PerfectStroke key system distributes typing pressure evenly across the key surfaces, so every keystroke is whisper quiet and feels smooth, even if you strike the edge of a key. The Incurve keys have softly rounded edges to help your fingers glide across the keyboard, so typing feels fluid and comfortable, hour after hour. Taipei, Taiwan – August 2013 – Taiwan –based Genius is an international leading company in computer peripherals, introduces the rich stereo sound in a compact wood design, SP HF150 is a USB powered wooden speaker with four watts of total RMS power, delivering clear vibrant sound and deep bass reverberation. Even with a small package design, SPHF150 produces amazing sound quality and transforms one computer into superb hi-fi stereo sound system. 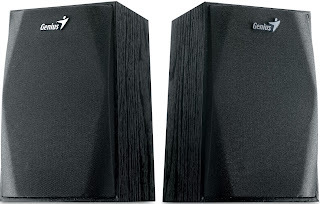 One can use it just about anywhere with the notebook or PC, Simple to set up and control, these speakers make it easy to enjoy the music, movies and games. Just insert the USB plug to a PC/notebook for power and the 3.5mm audio plug into the music playback device device. 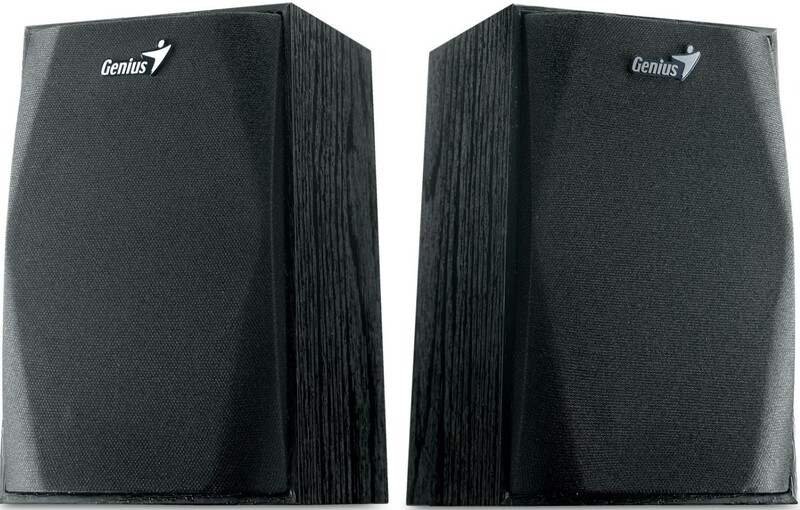 The Genius SP-HF150 is available at USD 12.9-. A warranty of 1year and it comes in 3 colors Wood, Black and Silver. Taiwan –based Genius is an international leading company in computer peripherals, introduces its new 2-in-1 devices, The “Cam Mouse”, an innovative mouse that becomes a camera with instant photo uploading, QR code scanning and more. The Cam Mouse combines a 1200DPI mouse with a 2.0M pixel camera, bringing the best of both worlds. And while cameras on notebook monitors are awkward and unwieldy, the Cam mouse is as easy to use as a small hand-held camera. Plus it can seamlessly switch between mouse and camera modes in a split second – simply slide open the lens cover and snap away. The Cam mouse also makes it easy to share ones photos with friends and family. It syncs with social media sites, so one can instantly upload pictures. 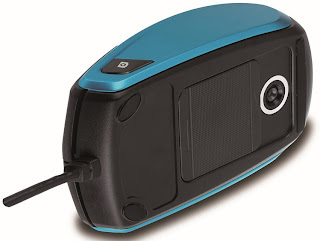 In addition the Cam mouse provides photo-editing tools and scans QR Codes. So if a teacher is about to erase some valuable notes off the board, or if a presenter in a meeting switches slides too quickly, one can take advantage of the Cam Mouse’s speed and versatility to take a photo right when one is in need of it. The Genius Cam Mouse is available at USD 29.9-, with the warranty of 1year. AMD today announced the opening of a new design centre in Hyderabad, featuring world-class lab facilities dedicated to furthering both software and hardware innovations at the heart of AMD's popular Accelerated Processing Units (APUs.) In a ceremony held today, the new design centre was inaugurated by Rory Read, president and chief executive officer at AMD. Located at Raheja Mindspace, HITEC City, Madhapur, in the heart of Hyderabad's technology hub, the new facility features 175,000 square feet of world-class engineering labs, equipment and office space for the hundreds of engineers who work there to deliver world-class, differentiated System-On-Chips (SOCs) for AMD and its global customers. 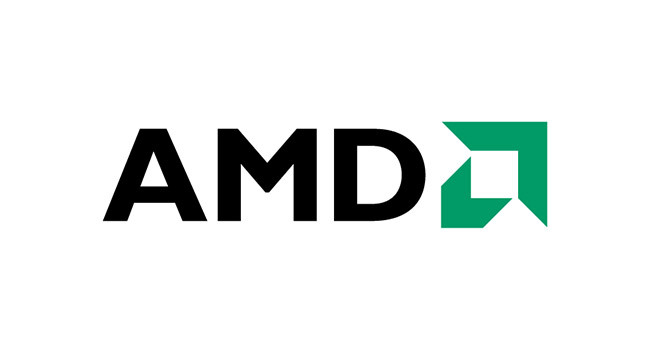 AMD also has a design centre in Bangalore, as well as sales offices in New Delhi and Mumbai. Razer, one of the world's pioneering supporters of eSports, and Orange Esports, Malaysia's premier eSports team, are proud to announce the launch of the Razer Goliathus Orange Esports edition mouse mat. Orange Esports is a Kuala Lumpur-based team founded in 2011 that boasts the best real-time strategy and first-person shooter players in Malaysia. Hugely popular in the South-East Asia eSports scene, Orange Esports has been a solid contender in Dota 2 and Counter-Strike: Global Offensive (CS:GO), resulting in a long list of competitive achievements that underscore the team's dedication and outstanding skill level. "The level of energy and passion from Orange Esports is remarkable," said Min-Liang Tan, Razer co-founder, CEO and creative director. "Launching the Razer Goliathus Orange Esports edition mouse mat is just the beginning of a great partnership. Razer intends to continue working closely with Orange Esports to raise their game and profile in the global arena." 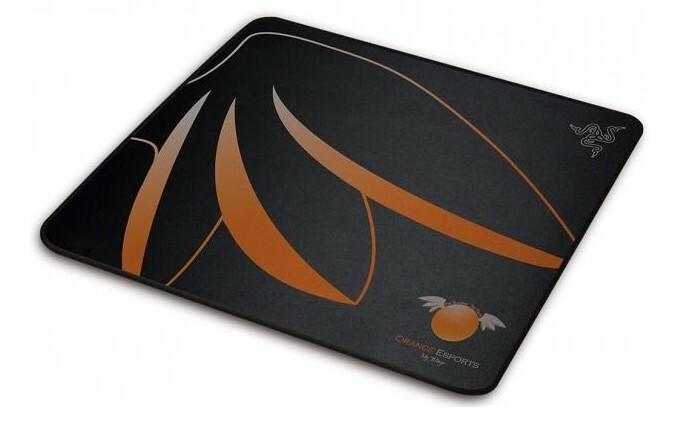 After two years of partnering with Orange Esports, the concept of the Razer Goliathus Orange Esports edition mouse mat was developed in response to numerous requests from both Razer and Orange Esports fans. The Razer Goliathus mouse mat, best known for its excellent durability and surface that enables accurate mouse tracking, is the essential must-have for Orange Esports players during tournaments. "The Razer Goliathus mouse mat is easily one of the most iconic peripherals from Razer," said Frank Ng, Orange Esports CEO and founder. "We are the first eSports team in South-East Asia to have a team edition product and this is something we are extremely proud of." Orange Esports has achieved fantastic results in various prestigious tournaments, most notably in WCG Malaysia 2012, WCG Asian Championship and G-1 Champions League, and they will be taking part in The International DOTA 2 Championships for the second consecutive year. Over the last couple of decades, India has been the epicenter of consumer demand fuelled by a phenomenal GDP growth. While all sectors have been poured in with heavy demands, one sector that stands out is the high-end electronics products. The demand for the same has grown multifold during the last few years with the sector posting double digit growth numbers. “As always, India offers a great opportunity in electronics system design and manufacturing. With the country looking to be an economic powerhouse on the global platform, sectors like ESDM will play a vital role. We have received investment offers to the tune of around 11,000 crores in this sector. The main focus this year will be on Mobile Handset Manufacturing, Automotive Manufacturing, Consumer electronics and LED manufacturing as these are the areas of interest in the market,” said Dr. Ajay Kumar, Joint Secretary, Department of Electronics and Information Technology, Ministry of Communication & Information, at the inaugural ceremony of the trade expo, electronica India 2013 and productronica India 2013 (eP India 2013). The event had a grandeur opening with inauguration by Dr. Ajay Kumar, Joint Secretary Department of Electronics and Information Technology, Mr. Rajoo Goel, Secretary General, ELCINA, Mr. Ramana Rao, President, LEDMA and PVG Menon, IESA, Mr. Bhupinder Singh, Dy. CEO, MMI India and Dr. Martin Lechner, Director, New Business Technology Unit, MMI. Pragati Maidan, in the heart of the national capital Delhi, is the stage for the exhibition for the next 3 days. The trade fair is expected to be visited by around 10,000 visitors “This partnership of MMI-India and DeitY will work well for the industry to grow. We need to take this partnership beyond India and electronics policies need to be discussed globally. The event will make an interest in the potential buyers and suppliers of the industry to understand more about the new opportunities and weave their future plans to take advantage of the same. Government has a revamped its set of policy initiatives, now focusing on the ‘state-of-the-art’ technologies which make India an attractive destination for investment in electronics manufacturing,” added Dr. Kumar. In its 14th year, the event has proved to be one of the best places for the electronics professionals to exchange information and develop business opportunities in India. The Electronics industry leaders from around the world and throughout the value chain visited India to gain expert insight into the technology trends and market movements shaping the ESDM industry. The trade expo got immense support from various electronic associations like Electronic Industries Association of India (ELCINA), Consortium of Electronic Industries of Karnataka (CLIK), LED products Manufacturers’ Association, India (LEDMA), India Electronics and Semiconductor Association (IESA), Manufacturers’ Association for Information Technology (MAIT), CMAI and others. Major players like, NMTronics India Pvt Ltd, iNETest Technologies (I) Pvt Ltd, Leaptech Corporation, RS Component, STMicroelectronics and Agilient Technologies showcased their products and technologies to put together a display on the India’s might and muscle in the sector. This year’s event co-located with conferences like LED Technologies by LEDMA, SMALED and ELCINA Seminar. Besides this there is also a Business to Government platform for the industry to directly interact with the DeitY to articulate and learn about new policies in the segment. Taiwan –based Genius is an international leading company in computer peripherals introduces the Genius “MAURUS X” which is a first person gaming mouse from the GX Gaming series with a special ultraviolet coating finish on the top keys and a rubberized grip on the sides. With its advanced programmable features, one can customize it to reach top game performance and gives an edge during any competition.Maurus X has an over-clocking SG Core engine with a dpi range from 100 to 4000 and on –the-fly adjustable dpi gives precision targeting or faster speed when needed it. It can also adjust the dpi gradually by pressing the button for two seconds then scroll the “Magic Roller” up or down or use the roller for weapon selection. The full speed process control unit uses onboard memory and gives gamer as 1-ms(8x quicker) response time, plus the braided cable with gold plated USB connector provides a stable and smooth signal connection.The OMROM switches have a life expectancy of eight million clicks and are very responsive and rigid, the weapon firing experience is as realistic as being in the game.Maurus X also includes the scorpion user interface, so gamers can program macro keys for one-touch combination commands or keystrokes during battle. The Scorpion UI also gives the access to Button Assignments, Advance Settings and the lighting Systems so can rock the battlefield. 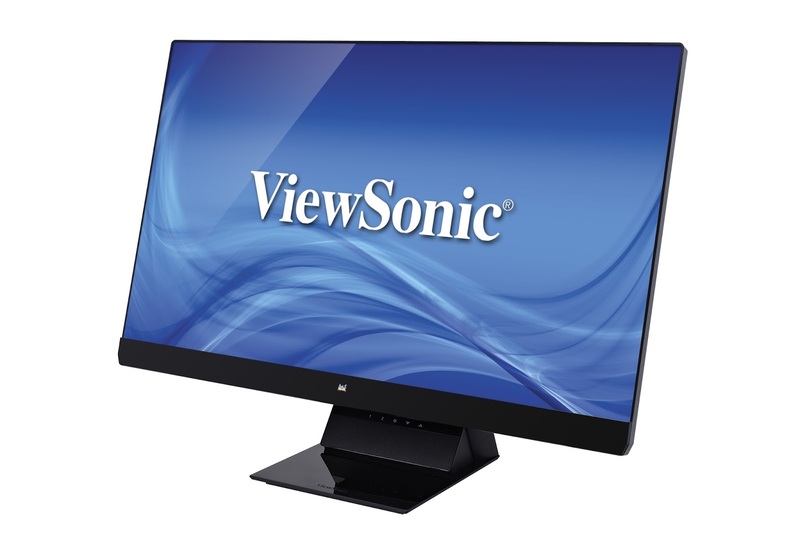 ViewSonic today introduced the VX2770Sml-LED, a 27-inch professional-grade IPS display equipped with MHL functionality for convenient connectivity to smartphones, tablets, and other mobile devices. With ViewSonic’s sleek and frameless VX2770Sml-LED display, users can enjoy a nearly borderless viewing experience. Full HD 1080p resolution provides an escape for watching movies, while SuperClear IPS technology brings rich, stunning images to life for color-critical applications. With ultra-thin bezels and a sleek, glossy finish, ViewSonic’s VX2770Sml-LED display brings style to any media room or home office. The included MHL and HDMI connections share the same ports and allow the VX2770Sml-LED to flawlessly stream from a variety of MHL and HDMI-equipped media devices such as smartphones, tablets, computers, set-top boxes, Blu-ray disc players, HD digital cameras, and gaming consoles. The MHL connection allows digital content on smartphones and tablets to be viewed on the large-sized, high-definition VX2770Sml-LED display without the need for a PC. An MHL cable can also simultaneously charge a mobile device while it is connected to the VX2770Sml-LED. Mobile devices can therefore be used as a media player for videos and music, or to display high-resolution images or documents. With high-quality visual and audio transmission, ViewSonic’s VX2770Sml-LED is great for sharing and watching multimedia content with friends and family. In addition, every tap, pinch, and swipe made on a mobile device is synchronized and displayed on the VX2770Sml-LED. Avid gamers can now use their smartphones in tandem with the VX2770Sml-LED for a bigger, better gaming experience.